[NEWS!] 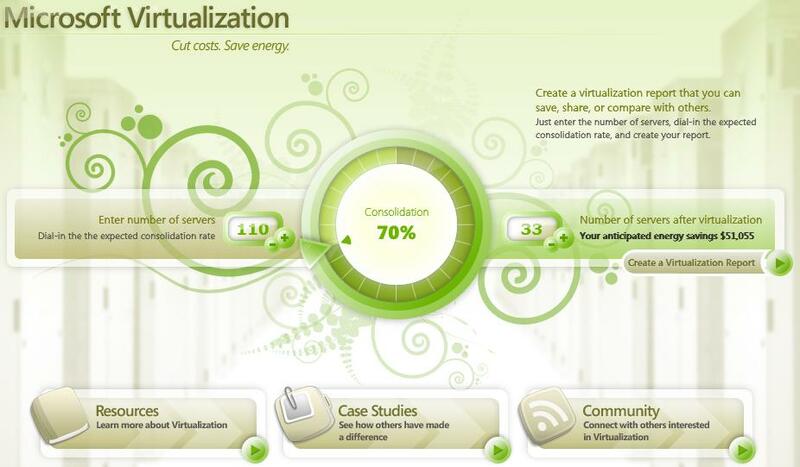 Hyper-Green.com: Go Green and Virtual = Save Energy and Money! Are you under pressure to control your IT operational costs? Are your companies or local governments encouraging "Green IT" practices? Here's a great NEW TOOL that you should know about. Microsoft just launched the Hyper-Green site designed to help you cut costs and energy. To give it a go, please visit us at the new Hyper-Green site. To get more accurate results about what kind of consolidation ratio (# of servers after virtualization to # of servers before virtualization), use the Microsoft Assessment and Planning Toolkit to inventory your server environment and assess the virtualization candidates. Don't wait!! Visit the Hyper-Green site now and start saving your precious IT dollars and your environment!